For organizations already struggling with an abundance of rapidly evolving technologies, virtually unbounded business possibilities and the competitive necessity to accelerate adoption, freedom is imperative. We believe that freedom for IoT involves recognizing the context of your organization and its relative maturity in its IoT-driven transformation. In Altimeter’s report, “The Race against Digital Darwinism,” it is proposed that there are six clearly recognisable stages of digital transformation in organizations. At the earliest stage, when an organization or line of business (LoB) knows little about IoT - or how it can be practically used - it needs freely available customer case studies, examples and architectures to allow the formation of business specific solution concepts. Also, with the increasing consumerism of software, organisations increasingly want to try before they buy. Not necessarily to validate specific vendors’ solutions at this stage, but more to validate that the solution would create a value large enough to justify further investigation. This is where the rubber really hits the road and where self-service tooling enables domain experts inside the organisation or LoB to contribute their vast knowledge in the most efficient way. Whether that is in integrating new industrial fieldbus devices in minutes, building complex analytics models using drag drop tools or creating workflows between business applications using pre-built adapters. Gartner has recognised that there is an increasing need for LoBs to solve their own problems quickly and efficiently without using scarce expert resources. This has accelerated the evolution of “no-code” or “low-code” development tools. This stage is really about expansion in literally every dimension (e.g. scale, scope, geography, ownership, governance) with recognition that it is extremely hard to predict the future - so an approach that delivers agile robustness is required. Technology must be device-, protocol-, use-case, deployment- and application-agnostic in order to allow your organization the complete freedom to generate value. Freedom is about delivering all of this as a service, to ensure that your business can capitalize on the innovation potential within - and not be constrained by its resource or governance constraints. 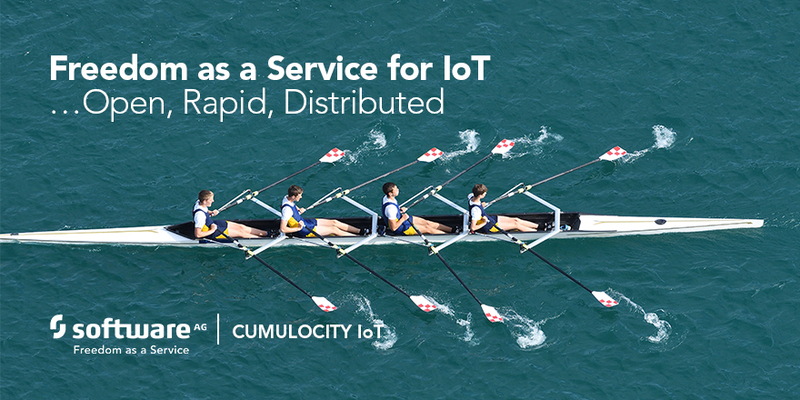 It’s allowing you, our customer to easily, efficiently and reliability incorporate IoT into your business in a manner that’s suitable for your business’ level of IoT maturity - and a way that accelerates your value generation.